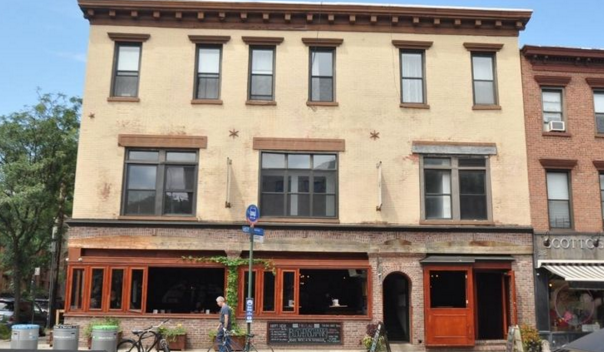 BROOKLYN, NY (Crain's New York) — James McGown, a notorious Brooklyn landlord, saw much of his real estate empire dismantled Tuesday when several of his properties were sold in a series of street-side auctions by AuctionAdvisors. Other McGown buildings sold Tuesday: a four-story walk-up at 300 Van Brunt St. in Red Hook, which sold for $1.88 million, and two four-family apartment buildings at 555 and 557 Union St. in Gowanus that have been vacant for several years due to structural problems, which fetched a total of $3.7 million. Those properties, plus some others already sold, collectively add up to $22 million, which would be more than enough to pay down the $13 million in debts listed in McGown's latest bankruptcy petition. Some of his largest creditors agreed to accept only 65 cents for every dollar of loans they granted him during the housing-bubble days. AuctionAdvisors, based in the New York metropolitan area, is a full-service auction company. With strategically located offices around the country, AuctionAdvisors services clients in the disposition of assets. Please contact AuctionAdvisors at 800.862.4348 or visit www.auctionadvisors.com for more information and a complete list of auctions.